Square Enix has announced that since the launch of Final Fantasy XIV: A Realm Reborn the total number of accounts has surpassed 1.5 million worldwide. Final Fantasy XIV: A Realm Reborn is a rebuild of the original version which was poorly received and takes place 5 years after the destruction of most of Eorzea by the primal dragon Bahamut. The launch of the game however did not go well. Due to an overwhelmingly positive response there were continued server issues. Some servers were closed for new players and the digital downloaded version was temporary suspended. Kingdom Hearts III D23 Expo Japan gameplay trailer! During last night's D23 Fan Expo in Tokyo new gameplay footage has been released of the recently announced Kingdom Hearts III! In the gameplay trailer you can see the new Sora, Donald and Goofy battling various heartless and bosses using a variarity of attacks. At the very first D23 Fan Expo in Japan Square Enix has announced that next year they will release Kingdom Hearts HD 2.5 ReMIX for PlayStation 3. This will contain Kingdom Hearts II: Final Mix, Kingdom Hearts Birth By Sleep: Final Mix and cinematic story videos of Kingdom Hearts Re:coded all in HD with trophy support. Both Final Mix versions of Kingdom Hearts II (which was originally released in 2005 on PlayStation 2) and Birth By Sleep (which was released in 2010 on PlayStation Portable) will be available for the first time in the west. Kingdom Hearts Re:coded is a remake from the mobile game Kingdom Hearts coded which was released in 2010 on Nintendo DS. The first trailer has also been launced and you can vist the Japanese website. Final Fantasy VIII PC download version this winter? After the release of an enhanced version of Final Fantasy VII for the PC on the Square Enix Store and Steam the wait is now for an enchanced version of Final Fantasy VIII for the PC. However there's a hint it might be coming soon. 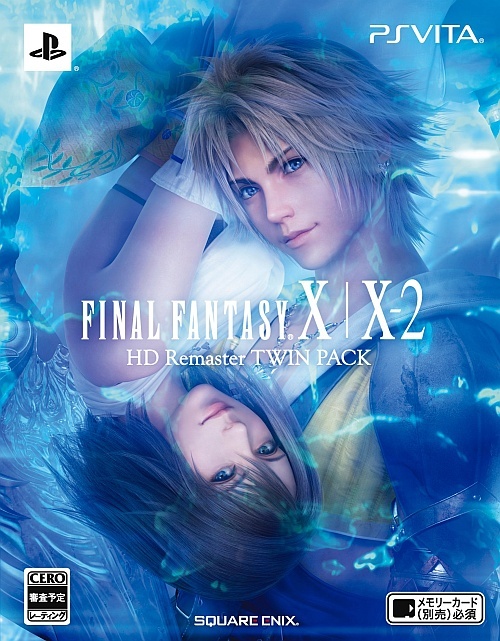 In the Japanese Square Enix Store you can pre-order Final Fantasy X / X-2 HD Remaster. When you spend 7,500 yen or more before 26 December 2013 you'll receive 50% off the PC version of Final Fantasy VIII (normal price 1,500 yen). 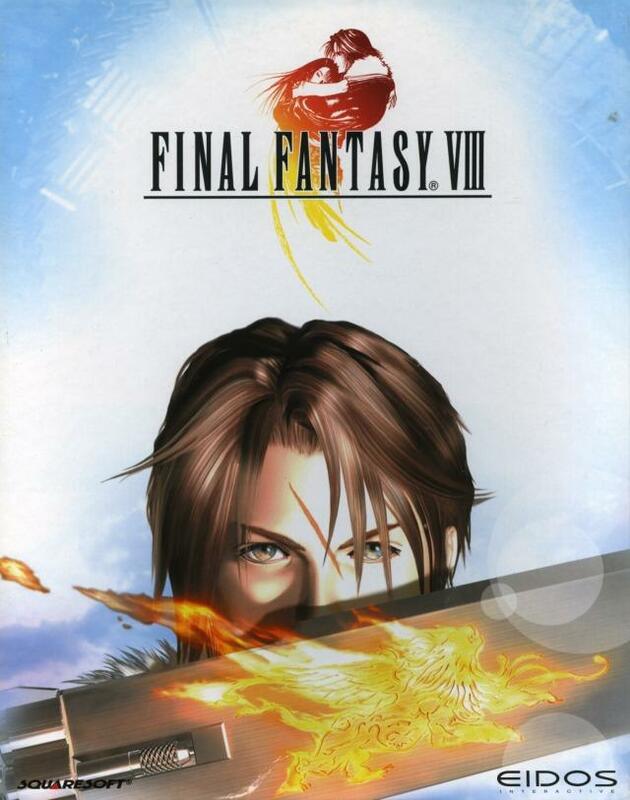 The PC version of Final Fantasy VIII was ported by Eidos and released back in 2000. In May this year Square Enix announced that the PC version will be released in Japan. According to the Square Enix e-Store the release of Final Fantasy VIII for PC is now planned for this winter. 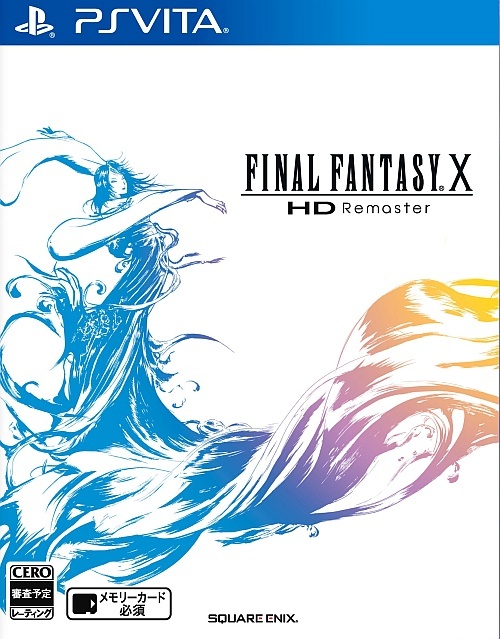 A few days ago Square Enix has finally announced that Final Fantasy X / X-2 HD Remaster will be available in Japan on 26 December 2013 for the PlayStation 3 and PlayStation Vita (sold seperately). Both games have been remastered in HD with updated textures and a remastered soundtrack. 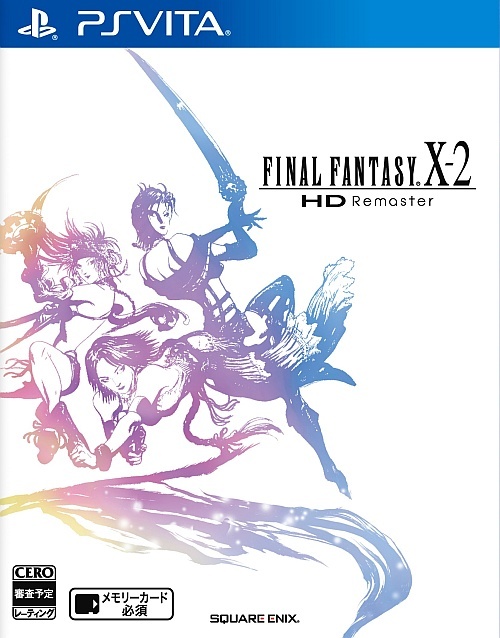 Final Fantasy X / X-2 HD Remaster for the PlayStation 3 will be available for a retail price of 7,140 Yen and the downloadable version will cost 6,400 Yen. This version will include the FMV 'Eternal Calm', which was originally included with the game Unlimited Saga and on a demo disc. For the PlayStation Vita both games are sold seperatly for 3,990 Yen each and the downloadable version will cost 3,660 Yen. You can also buy both games in the Final Fantasy X / X-2 HD Remaster Twin Pack for 7,140 Yen and the downloadable version will cost 6,400 Yen. Also a special Final Fantasy X / X-2 HD Remaster PlayStation Vita will be available together with both games for 25,788 Yen. Square Enix has also opened the official website of the game here. During the presentation of the recent release of Final Fantasy V for mobile devices and the announcement of Final Fantasy IV: The After Years for mobile devices Takashi Tokita had a little surprise at the end of the presentation. Final Fantasy VI will also be released on iOS and Android devices this Winter. Final Fantasy VI will not be a straight port, but a remake in style of previous Final Fantasy releases for mobile devices with some enhancements. Like the battle system has been adjusted so you don't have to fight as much and can enjoy the game for what it is. The graphics will be optimised for mobile devices but are still in 2D. At the end Kotaku asked Tokita if games like Final Fantasy VII, VIII, IX or X will be included in the Legacy series. "If this Legacy project works out well, we would like to one day be able to work with VII." It was already hanging in the air after Square Enix registered the domain name, but today they've confirmed that Drakengard 3 will be coming to North America and Europe in 2014 exclusively for the PlayStation 3. Drakengard 3 is a prequel to the original game which was released back in 2003 and marks the 10th anniversary of the Drakengard series. Takamasa Shiba will return as the producer of the game and Keichi Okabe will take care of the soundtrack. In this hack and slash game you play as Zero, the eldest of six "Intoner" sisters who wield special magical abilities. Zero is on a quest to murder her five sisters with the help of her dragon companion, Mikhail. Sadly Europe will only get a downloadable version. Recently Square Enix Inc. has registered the domain name drakengardgame.com and this indicates that the action RPG Drakengard 3 (in Japan known as Drag-On Dragoon 3) will maybe be released in the United States and Europe. Japan will be able to get the game on 19 December. Here's the recent Japanese trailer of Drag-On Dragoon 3 from the Tokyo Game Show.